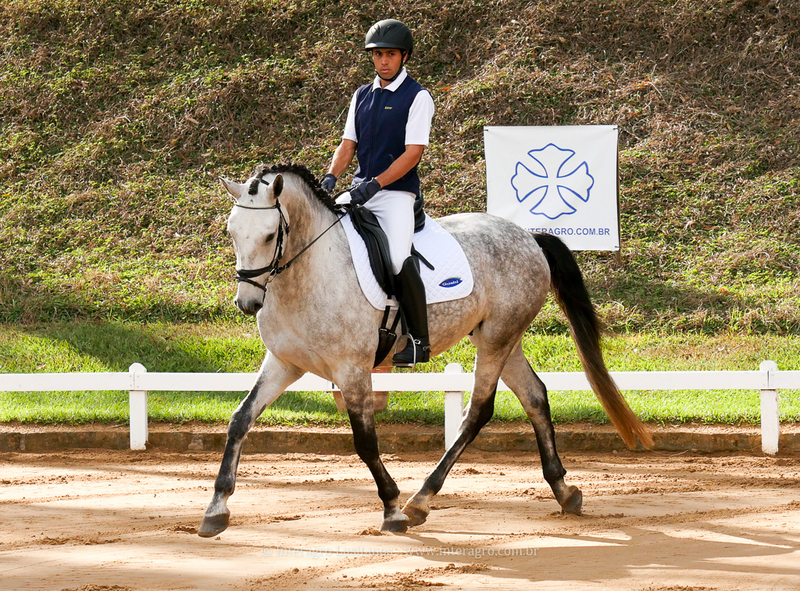 Locrus is very sweet, easy to work with, and always giving his rider something extra. 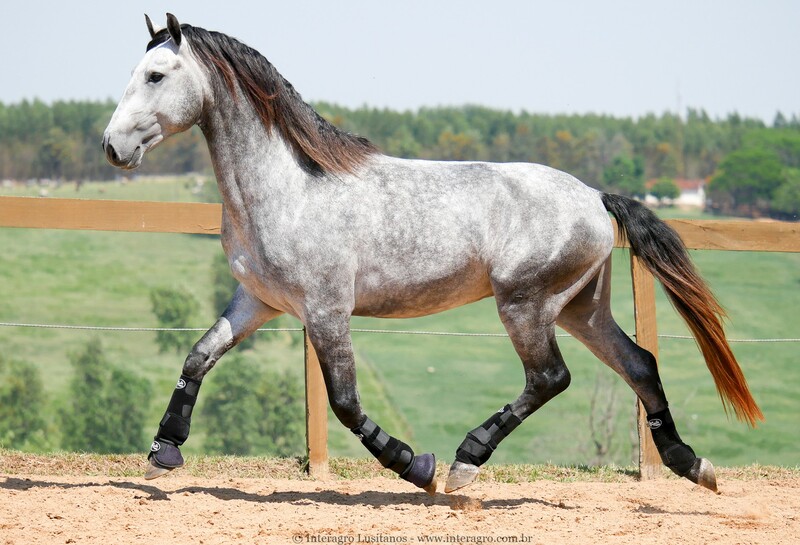 His three basic gaits are exceptional, and his willing and aiming to please temperament make him a joy to ride and train. Due to this young horse’s willingness and intelligence, his training is already more advanced, including travers and shoulder in. 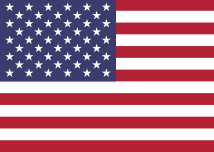 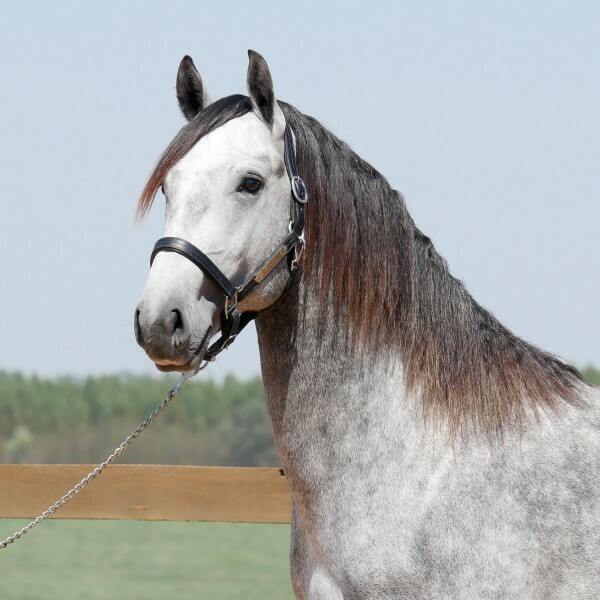 His wonderful temperament and other characteristics make him an excellent option for amateurs. 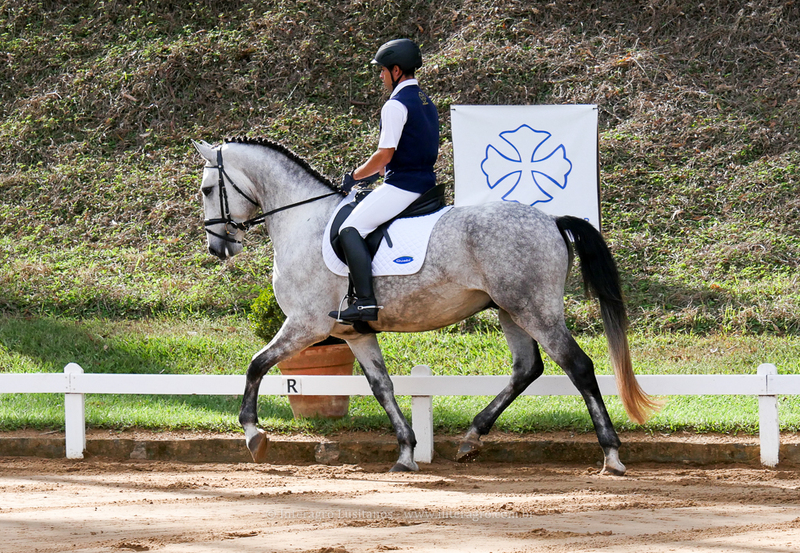 Started under saddle in November of 2017 and radiographed in December of 2017. 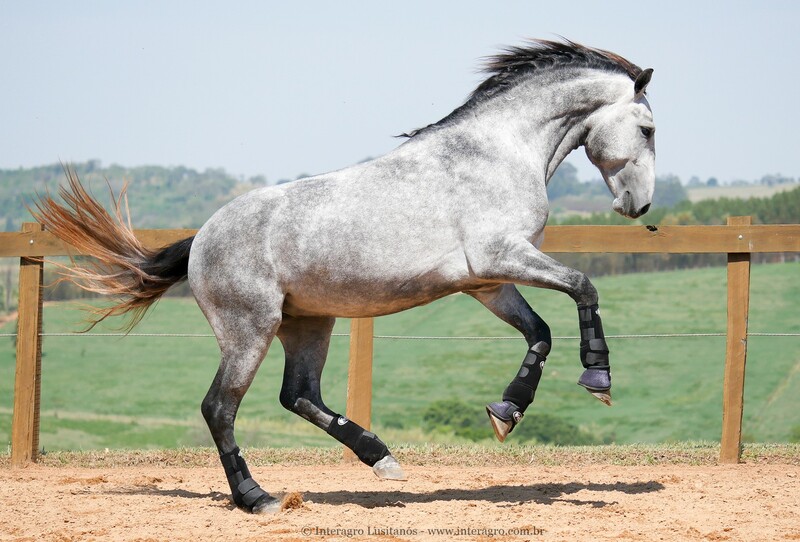 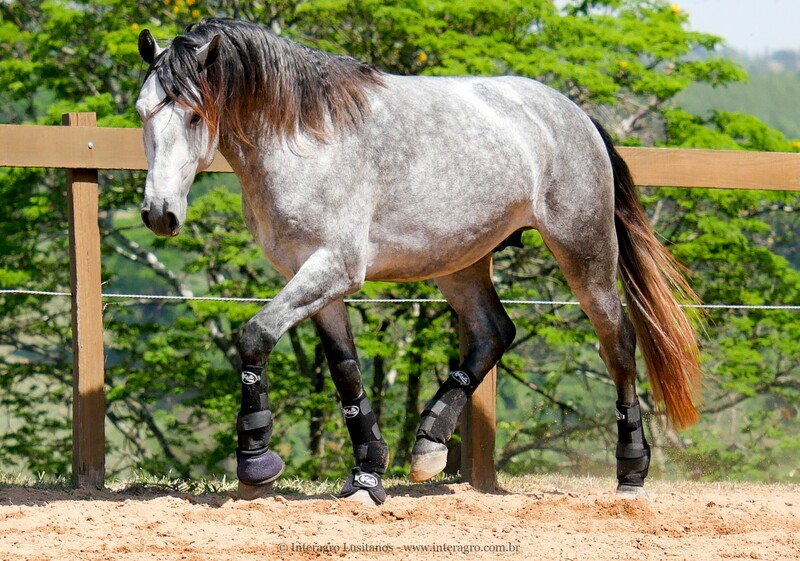 Locrus is a son of Altamira Interagro, a broodmare of 100% Veiga lineage revised with 72,50 points and sired by the Coimbra Perdigueiro (MAC), a stallion renowned for throwing offspring with exceptional temperaments and rideability. 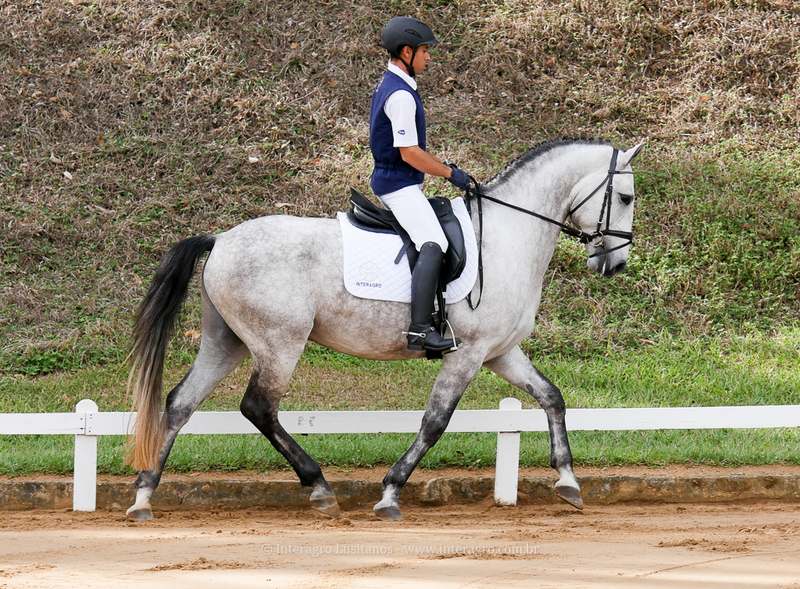 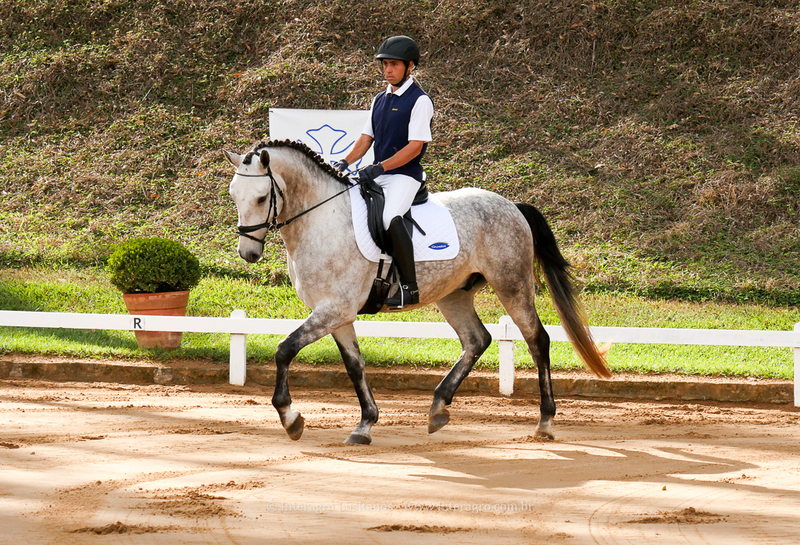 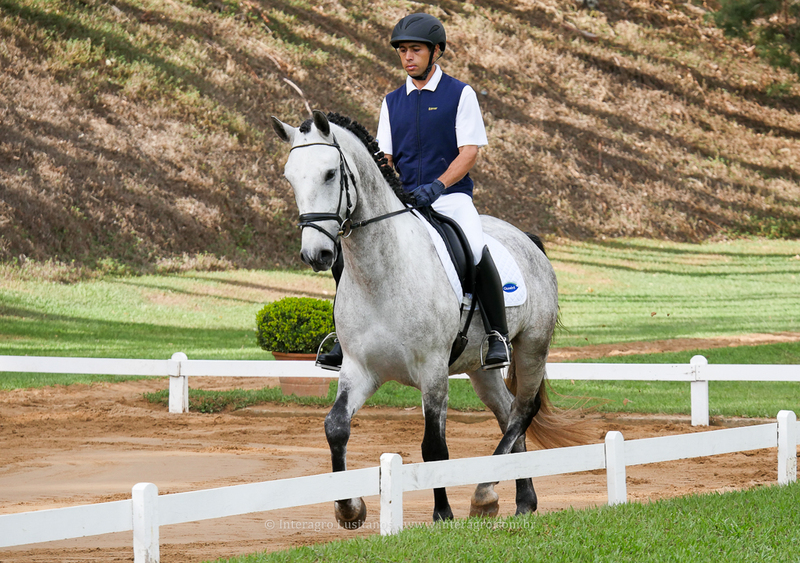 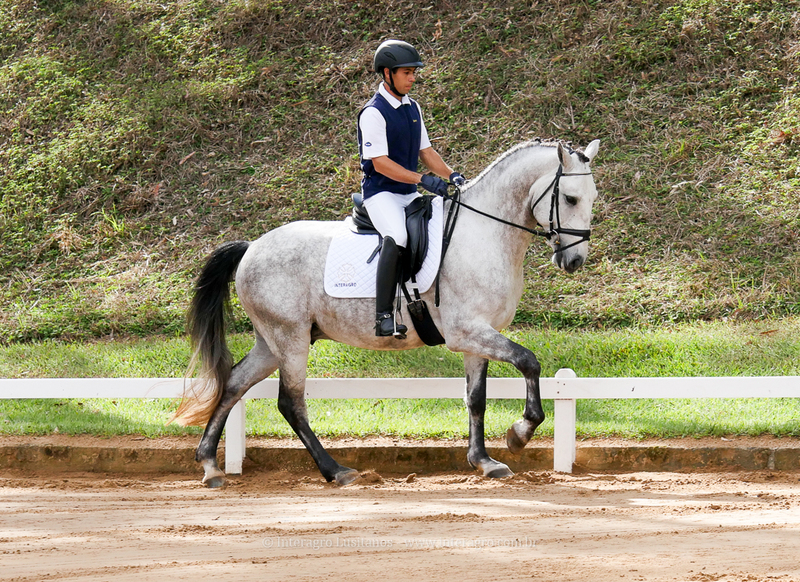 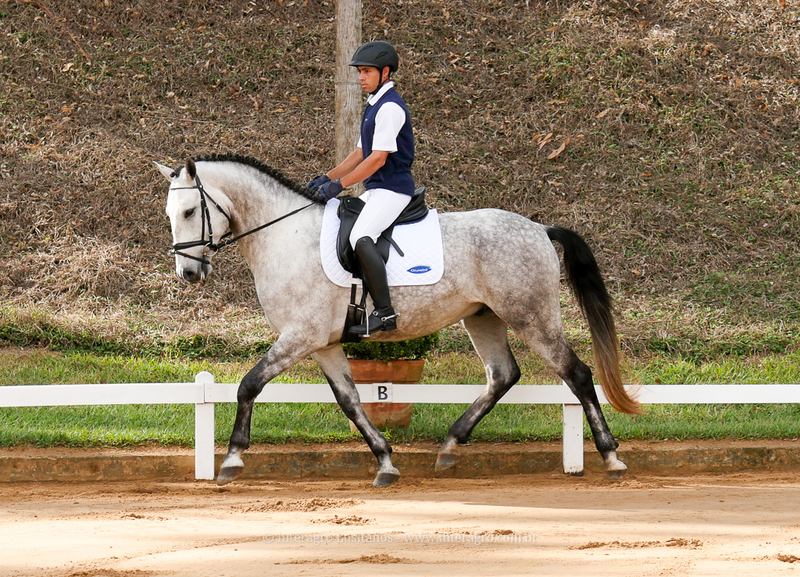 Altamira’s dam is Núncio Lisboa (JNU), revised with 74 points. 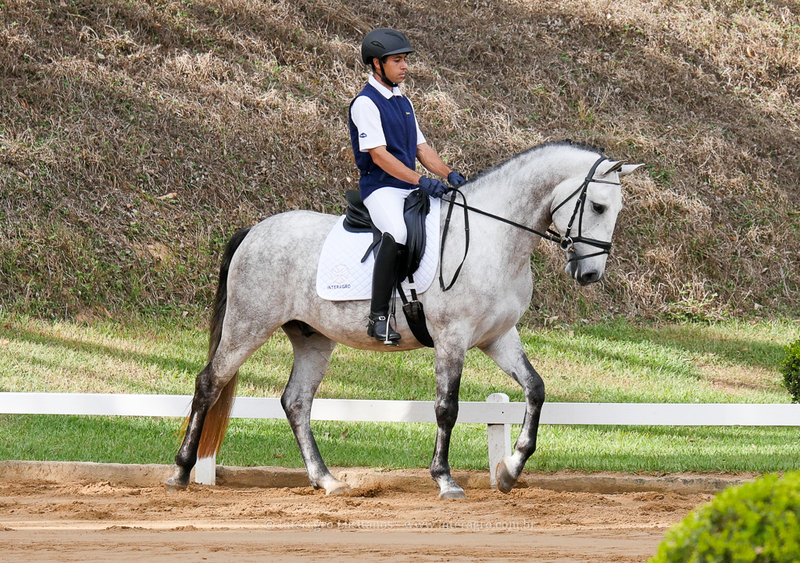 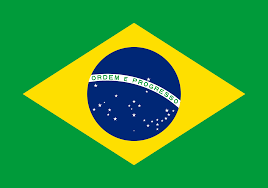 Altamira also produced: Finório Interagro, sold at 2013 Coleção Interagro Auction and winner of many dressage tests; and Gueixa Interagro a beautiful broodmare revised with 77 points among others.